I’m at the age now where so many of my friends are moving out and buying their own homes. Literally 4 couples that I know bought houses this past summer and now they’re all settled into their new places, albeit still surrounded by some boxes. Since we usually buy one another gifts at Christmas time, I wanted to get them all something home related. However, while I’d love to treat them all to a Dyson, my budget just wont stretch that far! This led me in search of something far more affordable that they could use in their home but something that still looked really nice. My search led me, surprisingly to the Sanctuary Spa gift selection at Boots. 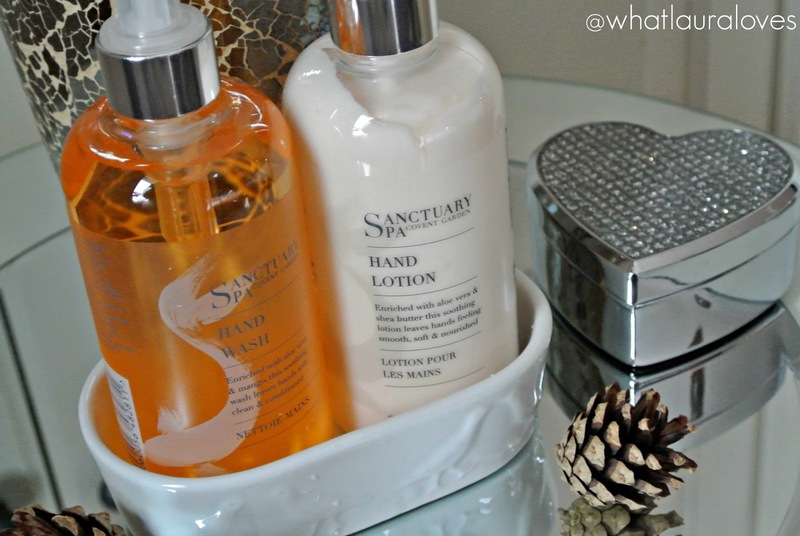 The Sanctuary Spa Wash and Lotion Delight gift set features a hand wash and hand lotion in the signature Sanctuary Spa sent that is loved by many including me. The hand was is enriched with soothing aloe vera and mango and the hand lotion includes ale vera and shea butter to nourish the skin. 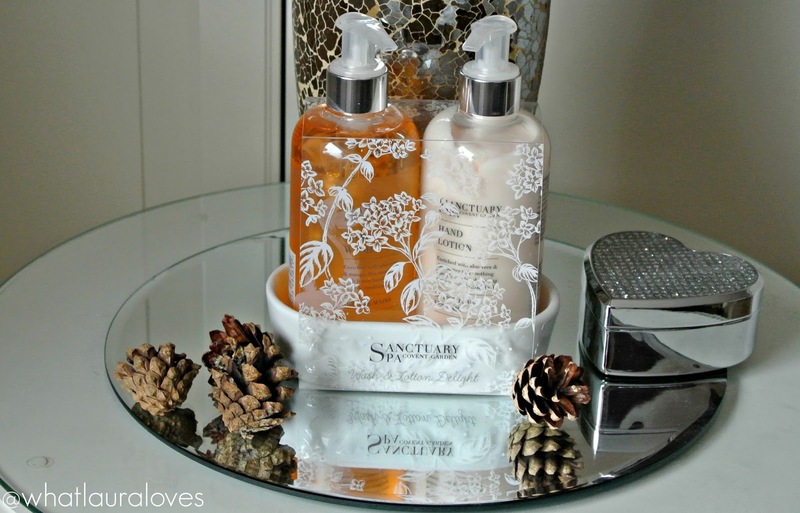 The two products sit within a beautiful off white ceramic dish with birds embossed onto it. Together, they would look great next to a kitchen sink or in any bathroom. Since the little dish is very neutral, it shouldn’t clash with any of their other pieces either. 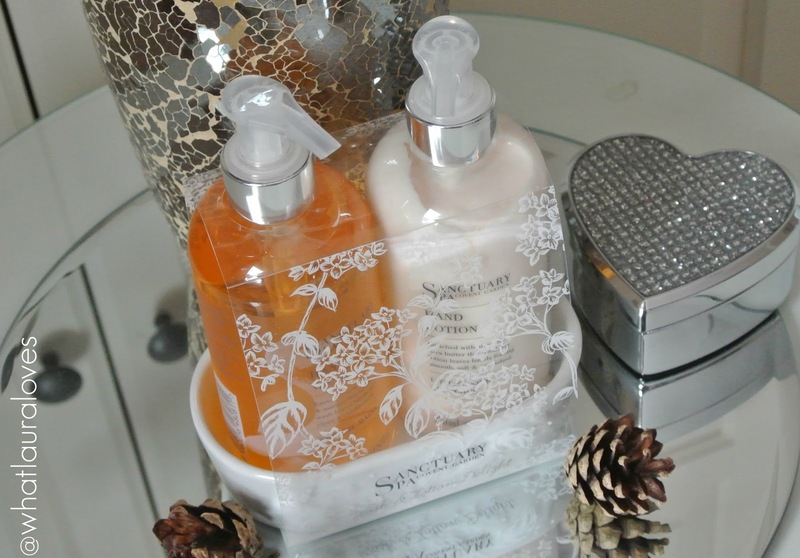 At only £10, this Sanctuary Spa gift set is a really affordable present option, plus if you’re buying it for a new homeowner, its a really thoughtful gift too. You can shop this gift here. What other homeware gift suggestions do you have? Boots has the best stuff in their own stores. Here we just get the skincare line and a few pieces of makeup. Very nice gift! And I like your "flamingo gifts" too! These sound amazing! 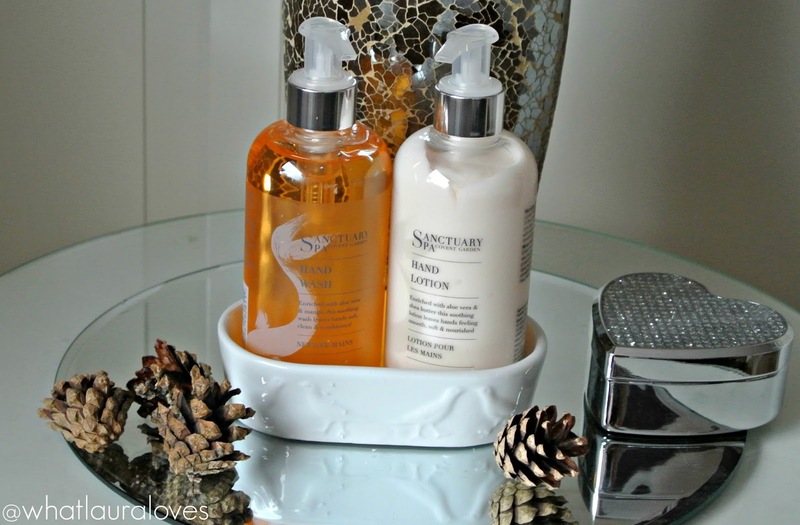 I'd love to get a set for our bathroom, if only there was a Boots in the US! What a great gift set. I love these kinds of things for any type of gift especially for a newly wed couple during the holidays. It probably smells amazing, too! You always find so many lovely products, I need some help so aren't you moving to Us? Wow that is such a pretty gift!! Love that it comes with the holder too! It is not a Dyson, but I think they will enjoy the bath gel and lotion. Tis better to relax than vacuum. Right?